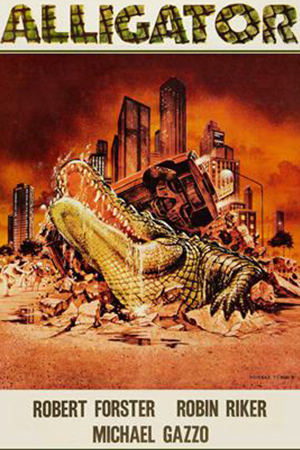 Let's travel back to the gilded age of big hair, clock radio bombs and world-class pillow talk... no, not the 1980s, just the time we talked about 1980s killer pet flick ALLIGATOR! We've referenced this discussion enough that it finally warrants its own retroactive episode. Matt's love of this movie (and fear of dressing up as a pirate to pool parties) is infectious and his lines are smooth. Give it up on your childhood bed for this retroactive episode of Horror Movie Night!